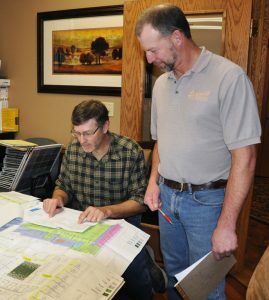 At Schmidt Custom Floors, our commercial division specializes in working with developers and general contractors to deliver a wide range of products along with top-quality installations. 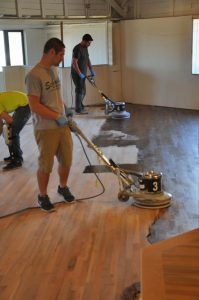 Our extensive experience with commercial flooring includes condominiums, apartment buildings, malls, restaurants, retail, dance studios, senior living, and many others. 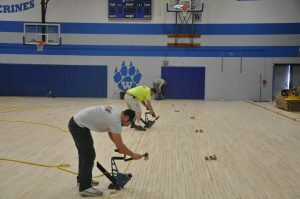 We also have an athletic flooring division which delivers gym wood floors and synthetic flooring for applications including weight rooms, exercise rooms, field houses, and more. As a commercial flooring installer, Schmidt Custom Floors has extensive experience with an array of commercial projects completed. 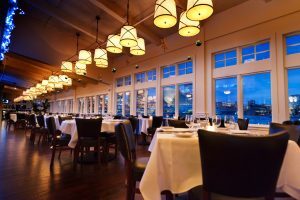 Our expertise and creativity even won us a “commercial floor of the year” award with the National Wood Flooring Association (NWFA) in 2010 for our work at the SC Johnson’s headquarters in Racine, Wisconsin. 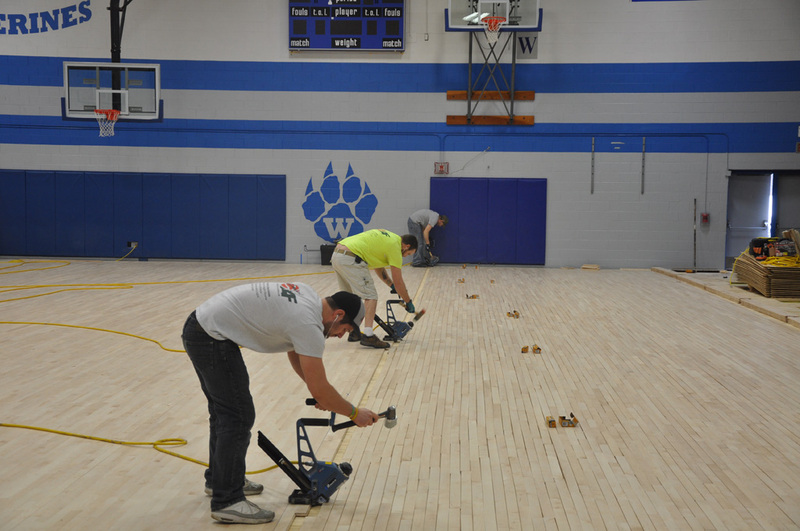 Also, in 2011, we received the NWFA “Best Reclaimed Floor of the Year” award for Bartlotta’s Rumpus Room and the “Best Rubber Athletic Floor of the Year” award for Tarkett Sports in 2012 for UW Whitewater. 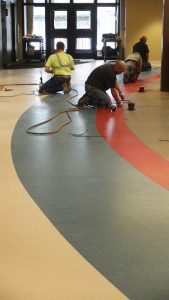 We encourage you to visit our commercial flooring project gallery to see photos of some of our commercial flooring installation experience. Schmidt Custom Floors also has union and non-union capabilities to be able to support many projects. 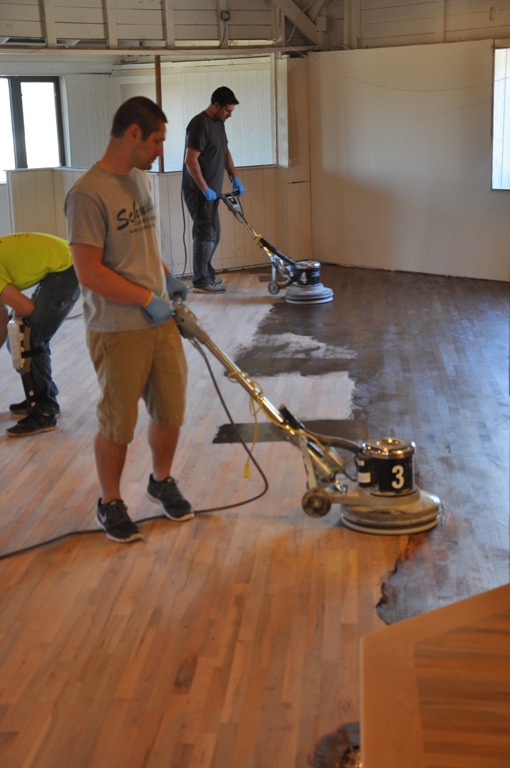 Our installers have multiple certifications in all varieties of flooring materials as well, including floor prep, I.E. 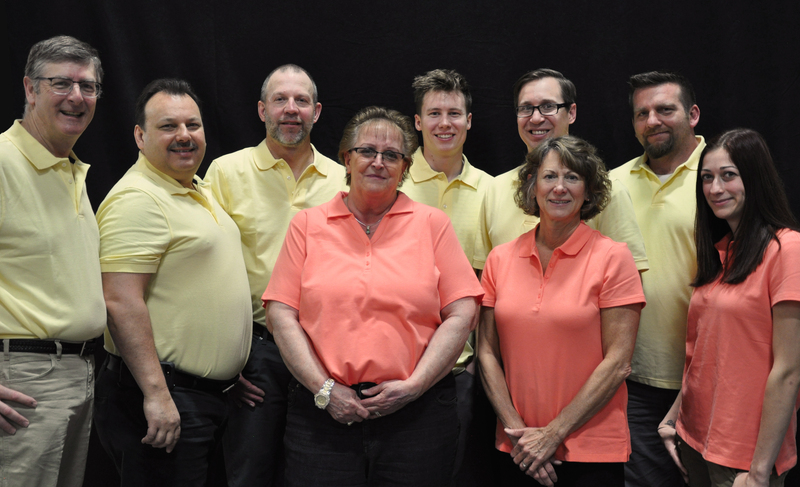 removal, leveling, moisture testing, and the capabilities to make each floor a “smart” floor with FidBox Technology. The FidBox is a small electronic measuring device that monitors the substrate’s temperature and relative humidity. The Fidbox can easily be added to any flooring project, and it provides 100% reliable data. Also, the HMBox Technology has great benefits in running a job site and for pre-installation of your flooring to monitor the substrate’s temperate and relative humidity and interior space, and it is accessible remotely.